Incepted in year 1974, We, “Vikas Industries”, at Mumbai (Maharashtra,India) are listed as the renowned Manufacturer and Service provider of a indicatively designed array of Plastic Molds and Molded Articles, etc. Our precision engineered range comprises Plastic Injection Molding Washing Machine Cover, Plastic Injection Molding AC Cover, Plastic Injection Molding Heavy Bust Bin, Plastic, Plastic Injection Molding Telephone Set, etc. Widely applicable in various industries, these products are designed & manufactured using the best quality raw material by our skilled professionals. They served these products by making innovations in processing methods, adopting to the new trends and advancing with most sophisticated plastic Injection Moulding Machines. Our offered range has various unmatched features for which it is widely demanded in the market. Some of the features of this range are accurate design, Durable finishing and efficient functionality. Also, we provide our clients with varied and effectively executed a range of services which includes Injection Moulding, Gas Injection Moulding, Product Development etc. These services are conceptualized with client-centric approach to bring utmost satisfaction to our clients. For smooth and systematic execution of all business operations, we have established an sophisticated and robustly constructed infrastructural set-up at our premises. Our hi-tech infrastructure has contributed towards the tremendous growth and success of our company. We have systematically partitioned our entire infrastructure into varied specialized categories like production, quality checking, administrative, research and development, sales & marketing and many others. Further, this facility is equipped with 20 Injection Moulding Machines, ranging from 80 tonnes to 650 tonnes and other accessories like Mould Chillers, Mould Temperature Controller, Hot-air Hoppers, Auto Hopper Loaders, Oil Filtration Machines, Ovens, Mixers, Compressors and Generators. This further gives us a competitive edge over our close business competitors. In addition, we are privileged to have a conducive and accomplished team of experts that is a driving force of our organization. Our team of devoted professionals is capable to realize and deliver the clients needs efficiently. These personnels are recruited solely on the basis of their skills and experience and as a result, this work force has the caliber required to produce high end engineering products and services. Owing to the strict quality approach that is followed in providing superior grade products and services, our organization has attained a great level of trust and satisfaction of our respected patrons. We have appointed an experienced quality experts who continuously keep a vigil eye at each stage of production process. Apart from this, our quality inspectors conduct rigorous testing procedure on our offered products before the final dispatch in order to deliver flawless range at customers' end. Being a client centric firm, the main motto of our organization is to attain utmost client contentment. Some of our esteemed clients are M/S. DIE-PLAST,MUMBAI, M/S. SHOGAN CLOCKS, GOA,M/S. 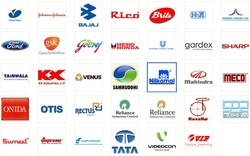 SUPREME INDUSTRIES LIMITED, MUMBAI etc. Our team of skilled professionals works with enthusiasm to offer our patrons with a premium quality range of products/ services. Under the innovative guidance of our proprietor, “Mr. Vikas Rane”, we have successfully achieved the reputed position in the industry. His vast knowledge base constantly helps us to offer only elevated quality products to the clients. Godrej and Boyce Appliances Ltd.
Manufacturing, Trading, Importer and Exporter of Injection Moulding Products and Gas Injection Moulding. We have developed into modern enterprise, which can offer the service from mold designing, making to plastic part molding, printing and assembly. We are sparing no efforts to staffs education, facilities updating, organization optimizing to offer customer the best service, with the vision of quality first, delivering in time, perfect after service. Our modern and well-equipped infrastructural facility makes us capable of handling bulk and urgent orders of the market and clients. We have established marvelous infrastructure framework and other facilities which assist us to carry out our activities in a well organized manner. Further, we have categorized our infrastructural facility into various major departments such as a production, procuring, research and development, quality testing, etc. Contemporary machines and technology assist us to manufacture the best quality products. Being a client-driven organization, we direct all endeavors towards designing and developing products as per the appropriate demands of our prestigious clients. To optimally satisfy our patrons, we provide them the facility of customization, in which, demands of clients are accomplished as per their specifications detailed by them. We constantly bring out products and services to comply with the specific requirements and demands of our customers. To serve the clients with better quality products, our experts perform rigorous quality tests over the complete range before being dispatched to the market. We have with us a team of adroit professionals, who are considered to be the most significant factor behind our success. These recruited professionals apply all their academic knowledge and industry experience in order to provide our offered products and services with perfection. Beyond the sound technical knowledge, our team also possesses the required client handling skills that helps them in maintaining a cordial relationship with our valued clients. Also, this team work in close synchronization with each other in order to achieve organizational goals in a commendable way. Being a reliable organization in this domain, we are growing rapidly on the broad national market ground. Our client centric approach to offer products and services has helped us garner a huge client-base across the country.